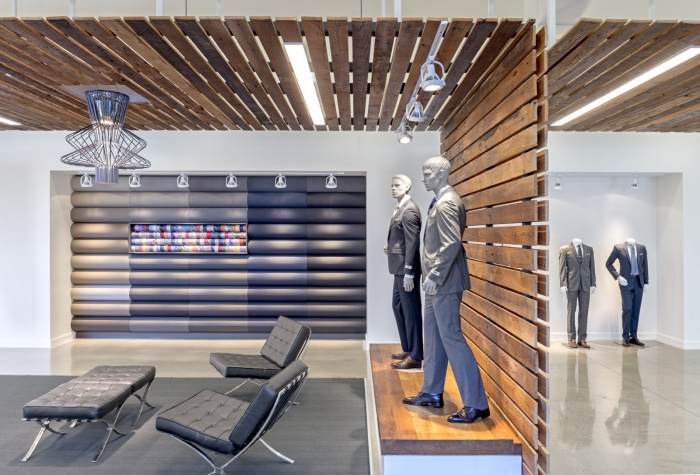 Gensler has developed the new office space of Men’s Wearhouse located in Fremont, California. The design team transformed three nondescript, multi-tenant concrete tilt up buildings into an impressive executive campus that includes various amenity spaces. The design provides a balance of work, life and play to the campus. Inspired by Men’s Wearhouse’s play on the word “warehouse”, the design team chose a warehouse aesthetic to create contrast and texture within the executive office space. The design juxtaposes a contemporary raw, feel with the classic, refinement of the client’s suits. 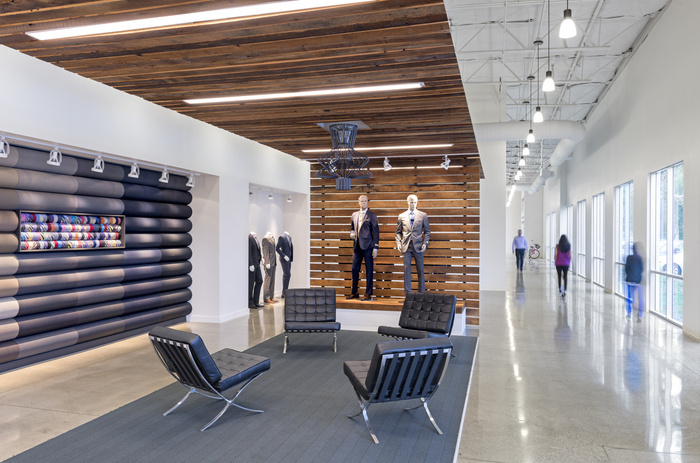 Materials including concrete floors, industrial fixtures and a reclaimed wood screen designed to emulate floor pallets create a complementary backdrop for an adjacent customized wall feature of bolts of fine fabrics and ties paying tribute to the Men’s Wearhouse brand.